We strive to provide our stylists and guests with a laid back, comfortable environment. We work together as one team, supporting and coaching one another when needed. 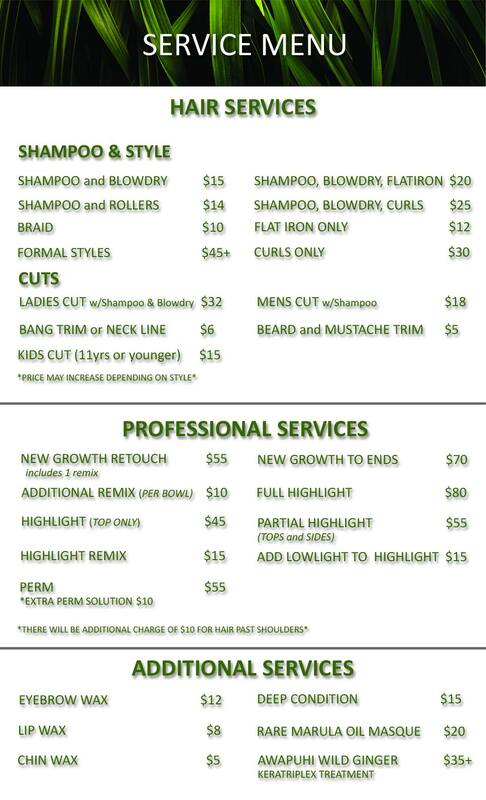 PRICES ON ALL HAIRCUT AND PROFESSIONAL SERVICES ARE SUBJECT TO CHANGE DEPENDING ON HAIR CONDITION AND LENGTH.